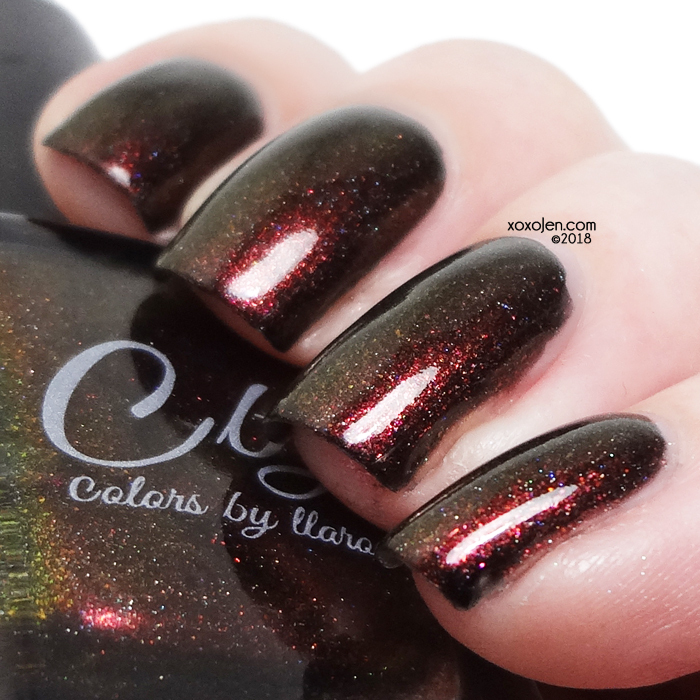 Colors by Llarowe joins August 3rd Polish Pick Up with a beautiful vamped up shade of black! I Dreamed a Dream was inspired by Les Miserables. 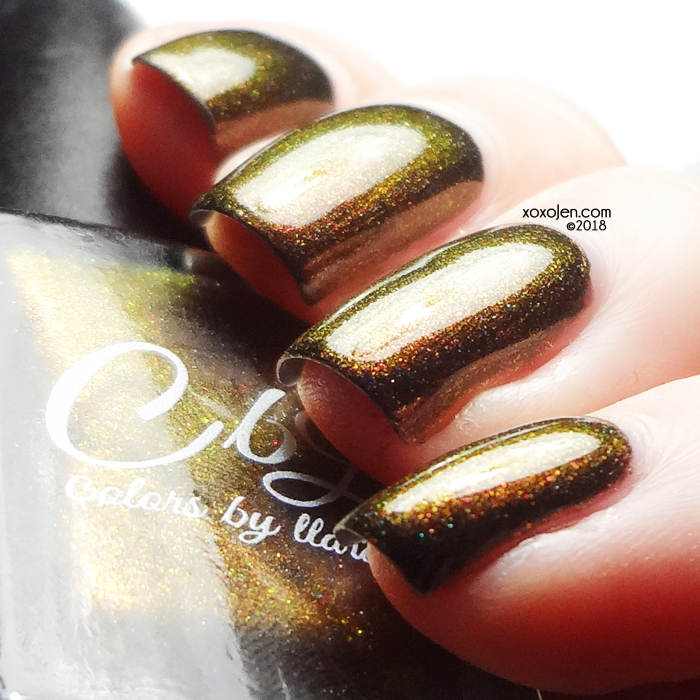 It is a black based multi chrome holo with strong red shimmer, Aurora red to green to gold pigment and gold shimmer. 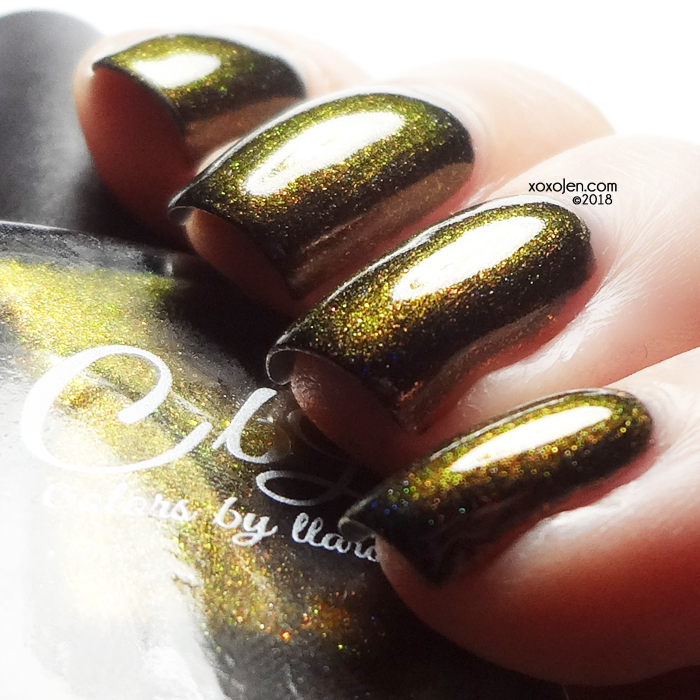 Formula was good, 2 coats shown. 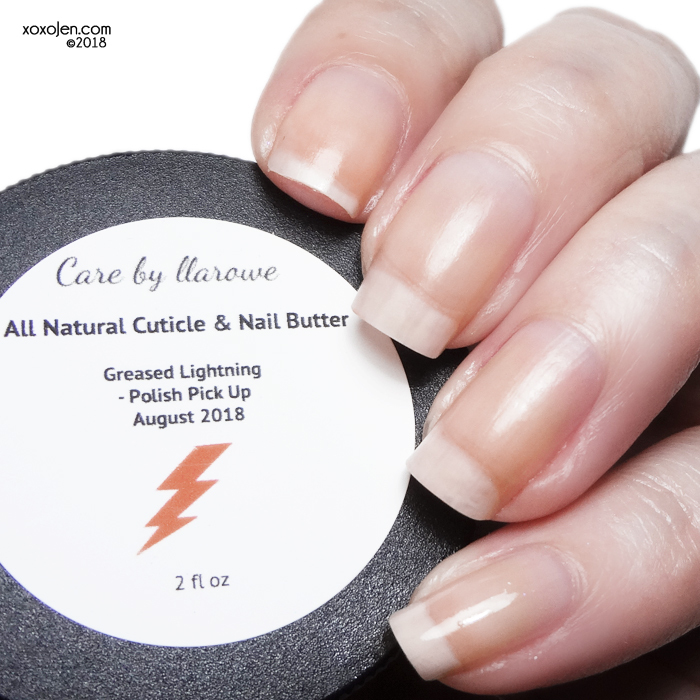 Also at Indie Pick Up for August 17-20 Colors by Llarowe will offer Nail & Cuticle Butter inspired by Grease. It is called Greased Lightning and is a mint chocolate fragrance. To my nose, this smells like cocoa butter and mint, love the fragrance. 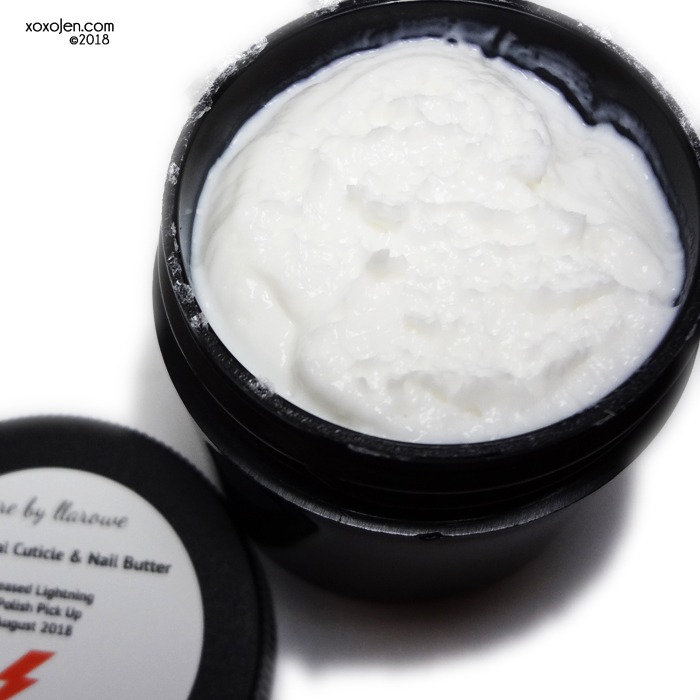 It moisturizes really well, as shown in the photos. Jas used this on a sore muscle he had because of the mint in it, and it relieved some of the pain. What will you be getting at the Polish Pick Up and the Indie Pick Up?